If you have any questions about the AEGEAN information page below please contact us. The generous superyacht AEGEAN is a sailing yacht. This 45 m (147 foot) luxury yacht was created by bra Yachting And Boatyard in 2007. AEGEAN is ex Cobra Maxima. Superyacht AEGEAN is a elegant yacht that is able to sleep a total of 12 people on board and has a total of 7 crew members. This graceful sailing yacht has been brought about with a naval architect called Dijkstra & Partners and Ava Yacht Design Co. Ltd.. The yacht's wider design collaboration came from Dijkstra & Partners and Ava Yacht Design Co Ltd. The professional naval architect intellectual property are a products of Dijkstra & Partners. 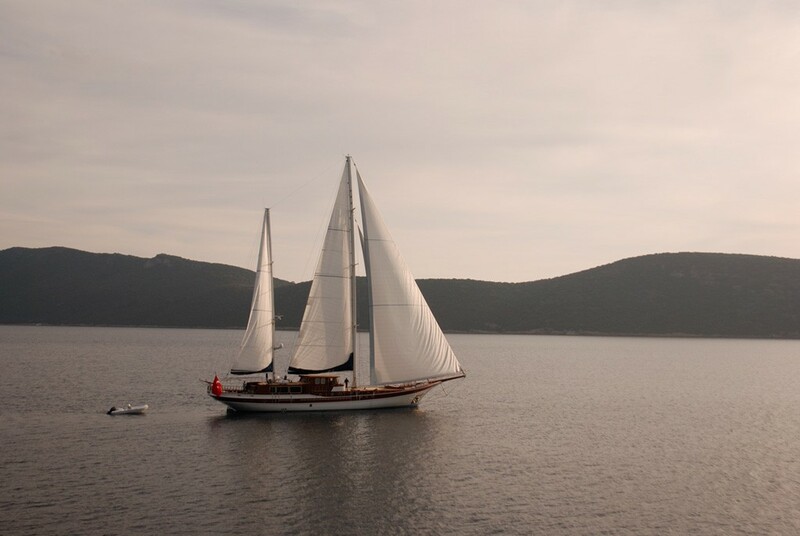 Created at bra Yachting And Boatyard the yacht was constructed in the yacht producing country of Turkey. 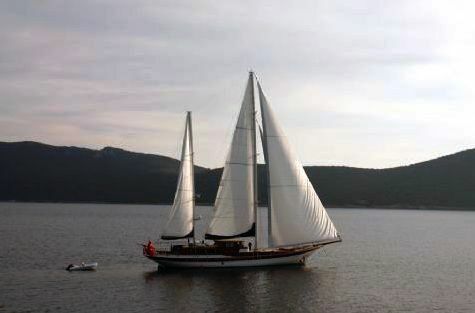 She was officially launched in Bodrum in 2007 before being handed over to the owner. The hull was constructed with wooden. 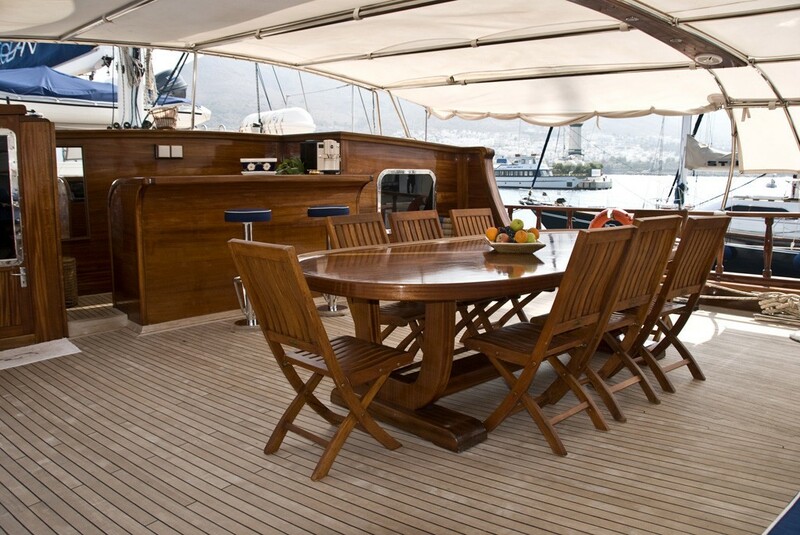 The sailing yacht superstructure component is fabricated largely with wood. The length of the luxury yacht on deck is 39.33 (129.04 ft). 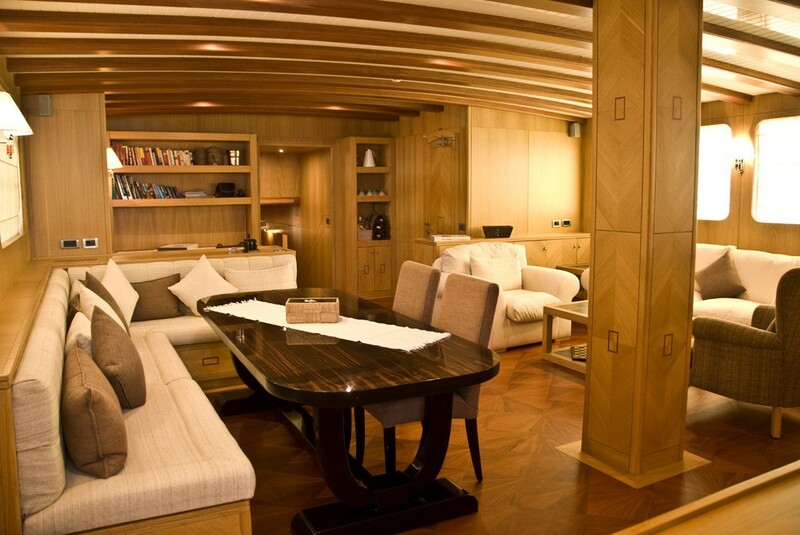 With a width of 8.5 m or 27.89 ft AEGEAN has fairly large room. She has a deep draught of 3.35m (10.99ft). The engine of the AEGEAN produces 600 horse power (or 448 kilowatts). Her total HP is 1200 HP and her total Kilowatts are 895. 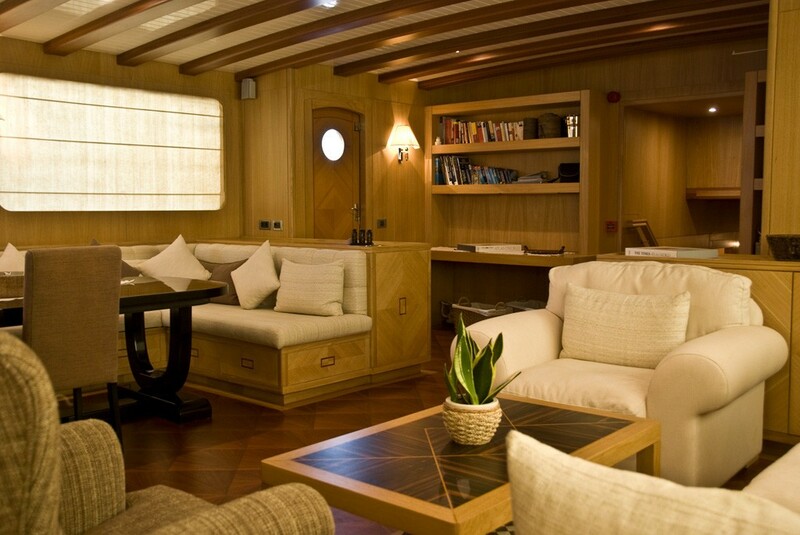 Having volume for a limit of 12 visiting passengers staying on board, the AEGEAN accommodates everyone in style. This ship requires approximately 7 capable yacht crew to manage. 44.8 metres / 146.98 feet. 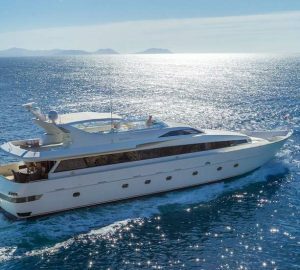 The luxury yacht AEGEAN displayed on this page is merely informational and she is not necessarily available for yacht charter or for sale, nor is she represented or marketed in anyway by CharterWorld. This web page and the superyacht information contained herein is not contractual. All yacht specifications and informations are displayed in good faith but CharterWorld does not warrant or assume any legal liability or responsibility for the current accuracy, completeness, validity, or usefulness of any superyacht information and/or images displayed. All boat information is subject to change without prior notice and may not be current.